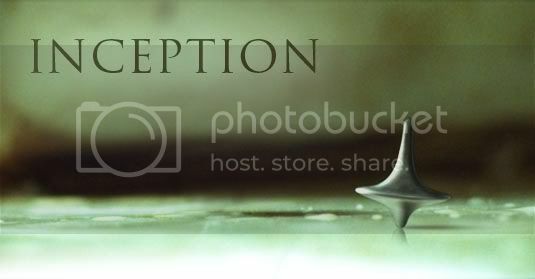 A Building Roam: Scattered Thoughts on "Inception"
The web is abuzz with theories and interpretations of Christopher Nolan's complicated dream thriller "Inception." On Monday night I got to see the film for a second time and caught numerous little things that I'd completely overlooked in my excited first viewing, especially some of the barely audible dialogue which, when paid close attention to, helps clear some things up. When I saw it the first time, I was convinced that the entire thing was all just a wild and crazy dream going inside Dom Cobb's (Leonardo DiCaprio's) head. The other characters, his recruits for the mission of "inception," seemed to be aspects of his own psyche helping him work out his problems. There are many little clues to this possible interpretation scattered throughout the film and it closes with a big question mark purposely placed to make the viewer think "Is it all a dream?" When I watched it a second time, more clearly grasping who was who and what exactly they were doing (instead of looking puzzled like Ellen Page's character at one point asking "Wait, whose subconscious are we going into now? "), it felt more as if what was supposed to be reality was actually reality (or, rather, waking consciousness). I paid more attention to the little quirk where Dom clearly has a wedding ring on in all of the dream scenes but, when in reality and (supposedly) not dreaming he does not. The truth is that the film was purposely crafted so that it cannot have only one interpretation. The film reminds me a lot of DiCaprio's recent psychological thriller "Shutter Island." In both films, we're not entirely sure if it's all real or just being enacted inside the main character's mind. In both films, Leo has a wife who seems to lose her grip on reality and tragically dies because of it (oops, hope I didn't ruin "Shutter Island" for you) and DiCaprio's character carries around guilt for his contribution to his wives' downfalls. It even felt like the houses and the cinematography in the house scenes, with the children playing in the backyard, were very similar and in both films visions of his children haunted him all throughout the movie. Both films are also heavily reliant on dream scenes although one of the things I loved most about "Shutter Island" was how accurately and beautifully director Martin Scorcese portrayed the character's dreams whereas the dreams in "Inception", while definitely cool and featuring some universal dream elements, were bogged down a bit by rigid rules and were more reminiscent of the computerized landscapes in "The Matrix." I haven't seen any of Nolan's other films yet except for his two Batman movies which I loved. Some aspects of "Inception" reminded me of Nolan's Batman films especially the technique of expediently telling a part of the story with spliced scenes that hastily transition from one to the next (this happened in the first half of "Inception" when they were preparing for the mission) and also the almost ridiculously intricately planned plots of the antagonist: in the last Batman film, The Joker kept things suspenseful by designing complicated obstacle courses for the hero to get through and in "Inception" Dom's wife Mal put together a complex "trap" of sorts to try to force Dom to commit suicide with her. Before I'd seen the movie, I had read a bunch of reviews and most of them call attention to the symbolic name of the character Ariadne which alludes to the Greek myth of the labyrinth. In the Greek myth she helps Theseus find his way out of the labyrinth by giving him a ball of thread to unravel through his journey. It's interesting to note the name of the main character in "Inception," Dom Cobb, conjures cobweb and a web/thread connection with Ariadne. One of the popular interpretations of the film is that Ariadne is either a psychotherapist helping Dom overcome his interior troubles or a similarly helpful figure who's just a projection of his psyche. The focal point of the 'inception' they're trying to enact, the individual inside whose mind they're planting an idea, is named Robert Fischer or "Bobby" Fischer and, in a film that's been described by some critics as a chess game, it's possible Nolan is whimsically connecting Dom's inner search for catharsis with the character whose mind they're traveling into. The film is a metaphor for the way that Nolan as a director works, and what he's ultimately saying is that the catharsis found in a dream is as real as the catharsis found in a movie is as real as the catharsis found in life. Inception is about making movies, and cinema is the shared dream that truly interests the director. The heist team quite neatly maps to major players in a film production. Cobb is the director while Arthur, the guy who does the research and who sets up the places to sleep, is the producer. Ariadne, the dream architect, is the screenwriter - she creates the world that will be entered. Eames is the actor (this is so obvious that the character sits at an old fashioned mirrored vanity, the type which stage actors would use). Yusuf is the technical guy; remember, the Oscar come [sic] from the Academy of Motion Picture Arts and Sciences, and it requires a good number of technically minded people to get a movie off the ground. Nolan himself more or less explains this in the latest issue of Film Comment, saying "There are a lot of striking similarities [between what the team does and the putting on of a major Hollywood movie]. When for instance the team is out on the street they've created, surveying it, that's really identical with what we do on tech scouts before we shoot." That leaves two key figures. Saito is the money guy, the big corporate suit who fancies himself a part of the game. And Fischer, the mark, is the audience. Cobb, as a director, takes Fischer through an engaging, stimulating and exciting journey, one that leads him to an understanding about himself. Cobb is the big time movie director (or rather the best version of that - certainly not a Michael Bay) who brings the action, who brings the spectacle, but who also brings the meaning and the humanity and the emotion. He describes Mal as the artist's unconscious impulse to bring aspects of himself into the story constantly, threatening to ruin it completely. That's really the only part of this interpretation I don't quite agree with. He says that Nolan is "bringing something of himself into it. That's Mal. It's the auterist impulse, the need to bring your own interests, obsessions and issues into a movie. It's what the best directors do. It's very telling that Nolan sees this as kind of a problem" but Mal is not "kind of a problem," she's the biggest problem in the whole film, haunting the troubled protagonist constantly and ruining his dream invasion schemes constantly, even to the point of putting the lives of every character in jeopardy. In this "film-as-metaphor-for-the-filming-of-the-film-itself" interpretation, I'm really not quite sure what exactly Mal represents. But to me she's almost an embodiment of the totem, the object used to determine whether one is trapped in a dream. She keeps appearing in Dom's dreams and confuses him as to whether it's all real or not, most strikingly when she questions him in the end about all the anonymous corporate henchmen chasing him around the globe in "real" life. She's also the one who first started using a totem but she ended up completely confused as to what's real and what's a dream to the point where she committed suicide to try and go back to a dream world she thought was real! I think for Mr. Faraci's theory, Mal is the audience's totem and the problem is that audiences sometimes take what they see on screen as being real, this makes sense when you consider the snow mountain scene where Dom shoots a bunch of soldiers with a sniper rifle and Ariadne asks "so they're not real right?" to which Dom answers "No, they're just projections." That happened right before Mal showed up and Dom questioned whether or not she was real before she shot Fischer and almost screwed the whole thing up. The artist, he imagined, standing in the position of mediator between the world of his experience and the world of his dreams---"a mediator, consequently gifted with twin faculties, a selective faculty and a reproductive faculty." This is the same description Cobb gives Ariadne when he first explains how we dream. And Sigmund Freud's psychoanalytic interpretation of art as a pathological symptom confirms the connection between Cobb and Nolan as director/writer and creator/artist. In his Introductory Lectures on Psychoanalysis Freud states "There is a means of return from fantasy to reality, and that is art." Consider Cobb's father-in-law (Michael Caine) imploring him to come back to reality. Cobb doesn't listen and so his father-in-law introduces him to Ariadne. As an ardent admirer and student of Carl Jung's work, I found this piece to be superb. In it, Richard Knight analyzes the film with a Jungian interpretation for each character as an archetype of the unconscious and it's yet another convincing interpretation. Discussing the film with my girlfriend last night, I concluded that each character has a polar connection to one other character in the film. - There are many obvious connections between Cobb and Fischer and it's most clearly alluded to when Ariadne says "the deeper we're going into Fischer, the deeper we're going into you"
The most impressive thing about the entire film to me is that the numerous meanings weaved into it are as seamlessly carried out as the complex multi-level dream narrative itself. When you watch the film, it's presenting a story in basically chronological order (except it begins in media res) and it effectively explains the facts we need to know at the beginning before jumping into all the high-flying, hallway-spinning dream action. But at the same time, it's expressing multiple hidden levels of meaning underneath and within what we're seeing directly. 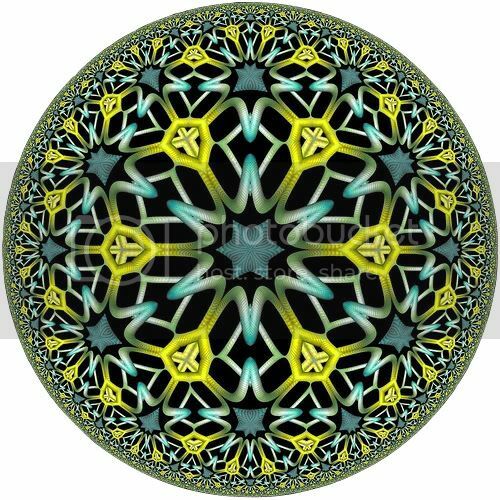 And that I think is the ultimate point of the film and how it turns in on itself like a hyperbolic kaleidoscope (or a mandala which is just like a labyrinth as any good Jungian knows). Through multiple levels of action it's expressing multiple levels of meaning and the film is a metaphor for itself. The best representation of what "Inception" is about is the scene where Ariadne and Cobb stand in between two mirrors and we see infinite reflection.